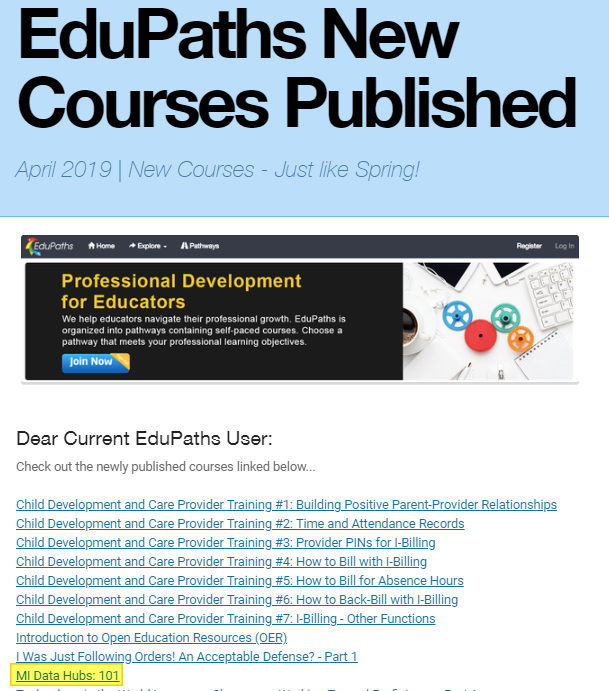 The first of many courses to be published in EduPaths for the Data Hubs is now available for your viewing pleasure . This first course, MiDataHub 101 , is designed to provide both new and current users of MiDataHub, the skills needed to get started with basic and advanced features including how the process works to e-sign agreements, managing user accounts, validating data against pre-built reports, creating integrations for educational systems such as NWEA, M-STEP, etc, and how to create dashboard builds. Each learning module will have a simple assessment at the end to test your knowledge on the covered material. In the future, we will be working with EduPaths to create additional courses covering reports, custom exports, dashboards, and the EWS tool. To access the course you will need a login to EduPaths. 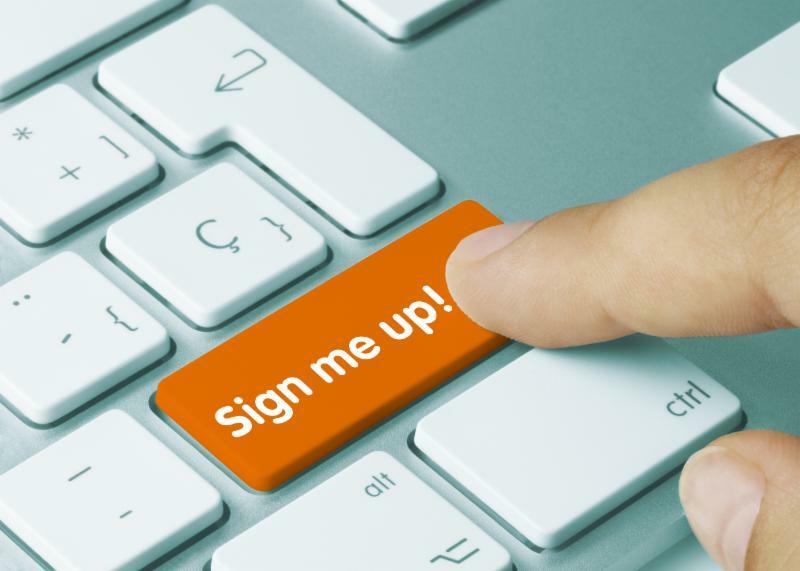 A link to register for your free account is located on the Edupaths website at www.edupaths.org . Once logged in, browse for the course "Mi Data Hubs: 101" and begin taking each sequence as time permits. As a heads up, this course will require some minor updates and revisions due to updates that have been applied in the User Interface since the videos were first developed. 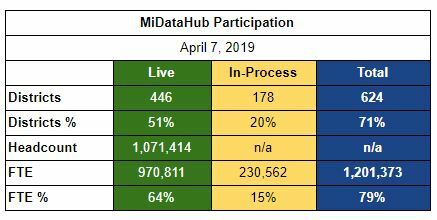 Our next MiDataHub webinar will be on Tuesday April 23rd, from 1:00 pm - 2:30 pm . Please click on this link to register . We will be updating you on the status of everything that’s in development, walk through the status of integrations, talk about the MiDataHub Product Catalog, and answer any questions that arise. We look forward to having you join us! On Wednesday, May 1st from 9:30 am -10:30 am, Tom Johnson and Don Dailey will be presenting “Save Money and Leverage Data”. This session will focus on how to use the Michigan Data Hub to streamline the process to save resources, as well as how to have access to actionable data to help students succeed. Look for our vendor booth all day on Monday, May 6th as well as our Michigan Data Hub update from 3:15 pm-4:45 pm. Melissa Tront from St. Joseph ISD will be joining Don Dailey to discuss what districts are actually doing with MiDataHub. Topics addressed will include UIC Services, M-STEP Data Transfer, Dashboards, Early Warning Systems, and upcoming features like the CEPI “Snackpack” project.